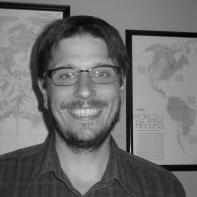 Adam Houle is a doctoral candidate at Texas Tech. His poetry has appeared or is forthcoming in Cave Wall, Willow Springs, Blackbird, the Best New Poets anthology, and elsewhere. He received an honorable mention from The Atlantic Student Writing Contest and was a finalist for the Arts & Letters Rumi Prize in Poetry. He lives in Lubbock, Texas. You can read along with his poems in Issue 9 of Superstition Review.